Tai Shek-ha is now known as the area in Belcher Bay at the northwest of Hong Kong Island. The quarry was identified in the Hong Kong Gazette in 1841. The area was also marked as “Tysheaha” on the “Map of Hong Kong” charted by Captain Sir Edward Belcher in the same year. 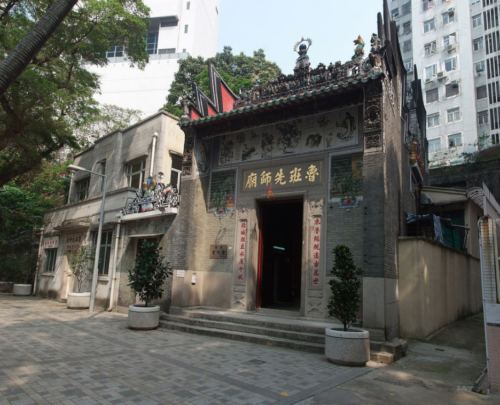 Lo Pan Temple in the area, which enshrines Lo Pan, the patron deity of masons, was built in 1884. It was listed as a Grade 111 historic building. Little else appears to be known about a quarry or quarries in this area. This article was first posted on 10th January 2017.